Venice by boat is a fantasy come true – but a river cruise can take you deep into the real Italy too. Sipping cappuccino in the Doge’s Palace, almost at eye-level with the famous Venetian canals, my wife and I watched a procession of gondolas glide serenely past. We even got 10-night cruise with the River Countess. Our Italian adventure had begun the night before with a short flight from London to Milan, followed by a spin with a taxi driver who had clearly been sacked by Ferrari for going too fast. It was a little after he had deposited us at the Star Hotel Rosa Grand that I dared to open my eyes again, but when I did I was delighted. We were just round the corner from most of Milan’s main sights, and handy for at least three tempting-looking gelaterias. Our two-night pre-cruise stop in the Lombard capital allowed plenty of time for personal sightseeing, but like most guests we also took the included tour of the city. This began with an easy guided walk through the Galleria Vittoria Emanuelle, past countless glitzy shops (Milan is the centre of the fashion world, after all). We paused outside the famous La Scala opera house, and felt very smug at the Duomo, Milan’s magnificent cathedral, as we skipped the queue and went straight in, thanks to a nod and a wink from our Uniworld tour guide. Witness to more than 600 years of history, the Duomo is a mountain of intricately carved stone whose cavernous interior contains some 3,400 statues. That’s more than any other building in the world, said our guide. No one felt inclined to argue. Next on our itinerary was something we’d all been longing to see: Leonardo da Vinci’s vision of the Last Supper. Naively, I’d assumed this would be picture on a gallery wall. In fact, this exquisite work of art is the wall. Almost 29ft long and completed in 1498, it occupies one end of the former refectory in the Monastery of Santa Maria delle Grazie. To see it today you must pass through two hermetically sealed airlocks. These only heighten the anticipation, and when you finally stand before Leonardo’s masterpiece, you’re in no doubt that here is one of the world’s greatest treasures. After a packed couple of days in Milan it was almost a relief to relax on the coach as it conveyed us to our ship. After a stop in Verona for a romantic rendezvous at Juliet’s balcony (well, a man can dream), followed by a delicious lunch at a Valpolicella winery, we arrived – somewhat sleepily – at the River Countess, where our bags awaited us in our cabins. First impressions of the ship? Stylish. Second impressions after we had explored? Very stylish. Our stateroom on the middle passenger deck was spacious and light, with a sumptuously huge bed, a French balcony and a large TV, bristling with high-tech facilities that we never used. The public areas were truly opulent, and from the chandeliers to the marble floors and the richly upholstered furnishings in between, the entire ship is designed to make her 130 guests feel special. Let me tell you, it works. 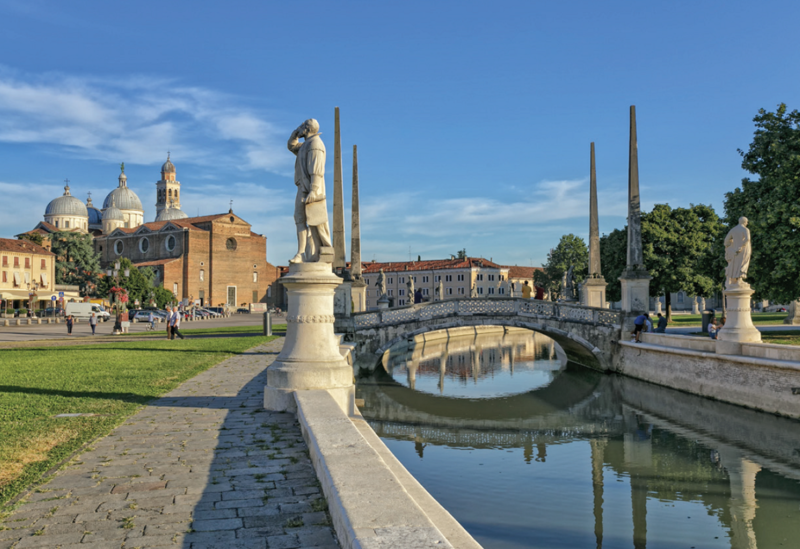 Uniworld’s “Gems of Northern Italy” itinerary differs from most river cruises in that you spend less time on water and more on land, over half of it in one city. But when that city is Venice, there can be no possible objection. No trip to this bewitching maze of canals and bridges could be less than memorable, but ours was enhanced by Uniworld’s star art historian, Dr Susan Steer. Her evening tour of St Marks was simply unforgettable. Inside the great cathedral we sat in near darkness as, with a flair for the dramatic, Susan orchestrated the gradual illumination of the gold mosaic frescoes, followed by the Pala d’Oro – the jewelled high altar that is usually hidden from public view. excursions all included. Our fellow passengers were mostly from the US and Canada, with a sprinkling from the UK, and the majority were 60-plus. Informal open seating allowed us to sit anywhere for any of the delicious meals, so we could stick with the same companions or mingle. I chose the latter because I find that on any cruise there is always someone, somewhere, with a truly remarkable story to tell. This time it was an unassuming old gentleman who’d actually witnessed the Japanese attack on Pearl Harbor (“I saw the plane turn and bank towards me,” he said, “so low that I could see the pilot’s face. But I was pleased because I hadn’t learned my lines for the school play, and now I knew it would be cancelled”). The service on board the River Countess could hardly have been more attentive. A diner who’d forgotten his reading glasses was offered not just a substitute pair, but a selection of different strengths. The chef was happy to prepare special meals to suit any individual requirements, and no trouble seemed to great for Damiano, our genial cruise director. 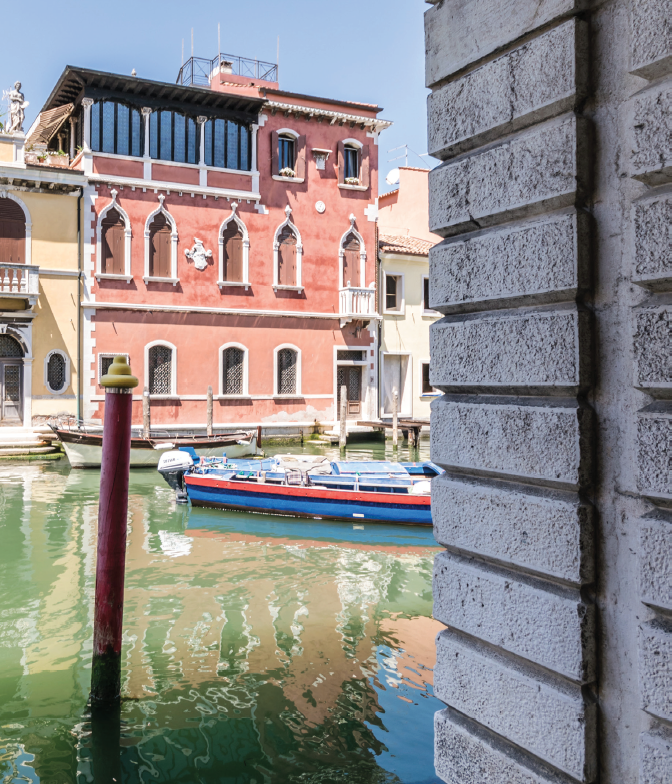 Leaving Venice behind us – somewhat reluctantly – we began our cruise along the Po. 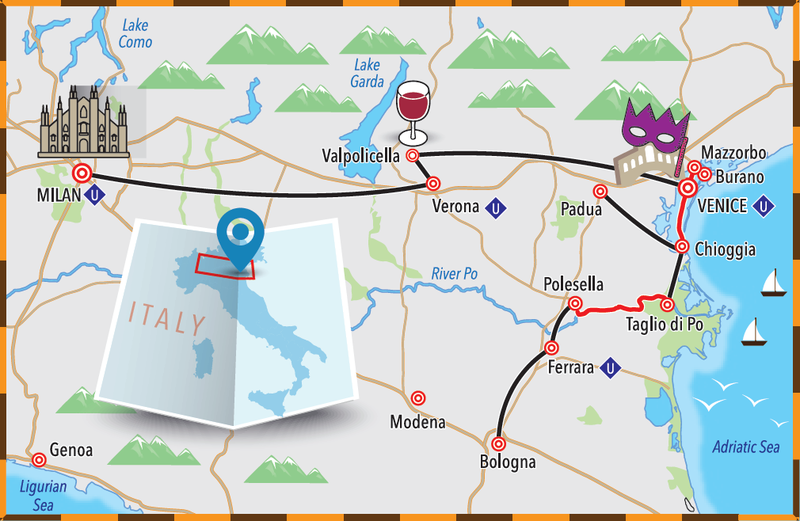 The country’s longest river is a lazy highway that snakes through some of Italy’s – no, the world’s – most fascinating locations. We stopped at Padua to stroll through the Prato della Valle, one of the widest piazzas in Europe; we wandered through the medieval porticoes, originally built to shelter the medieval masons as they worked, and on to the Basilica devoted to St Anthony. On another day we could have toured Bologna and its famed gastronomic delights, or Ferrara, a Renaissance city with spectacular palaces, or Chioggia, a picturesque fishing town with a fabulous market. I have to confess, however, that my favourite way to spend a river cruise is to watch the scenery glide by with a glass – or two – of champagne. But the River Countess turned even this into a unique experience. Our onboard butler Sebastian – who made Downton’s Carson look like Desperate Dan – performed the bottle-opening duties, but there would be no vulgar cork-popping here. Unsheathing a vicious-looking sabre, our man in black whipped off the entire neck of the bottle with a single swish, in a dazzling exhibition of the art of sabrage (dear reader, please don’t try this at home). The little town of Polesella marked the furthest point of our river cruise but not the end of our holiday, as the River Countess turned her elegant prow back towards Venice and another chance to explore. 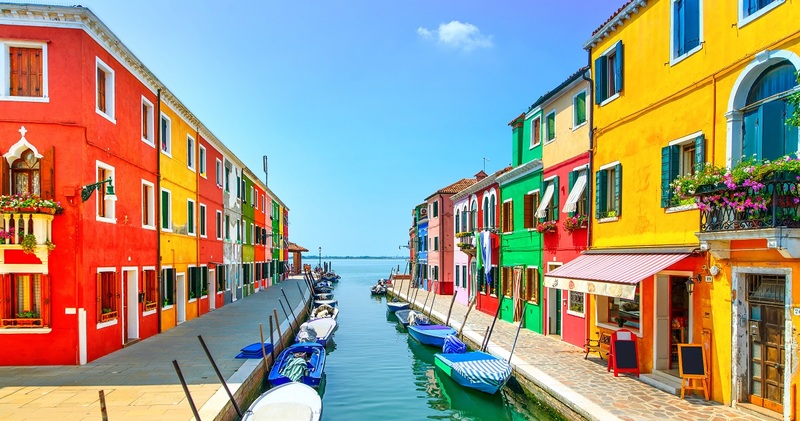 This time we took in Murano, for a demonstration of its famed glass-blowing (and a predictably overpriced gallery shop), followed by a cruise around the three principal islands in the Venice Lagoon. Among these, Torcello offered spectacular Byzantine mosaics in the Cathedral of Santa Maria Dell’Assunta; Mazzorbo tempted us with a tasting visit to the Venissa vineyard (some guests couldn’t wait to part with 140 euros for a bottle of the unique golden wine), and Burano supplied the photo opportunities with its brightly coloured houses. Our cruise was drawing to an end but I had long since reached my conclusion: if you want to travel in the greatest comfort while discovering some of the most beautiful towns you’ll ever see, River Countess is the way to go. 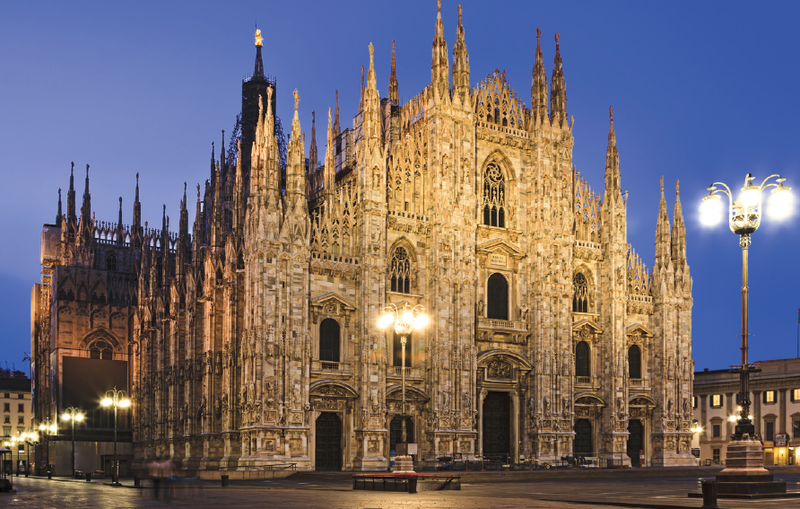 Uniworld’s 10-day Gems of Northern Italy cruise from Milan to Venice and along the River Po starts at £2,969 per person in a category ﬁve stateroom on the River Countess. Included in the price are all meals and unlimited beverages onboard, a wide range of dining experiences, premium spirits and ﬁne wines, a range of excursions, and transfers on arrival and departure days. See www.uniworld.com or call 0808 168 9231.